i love finding good crock pot recipes. 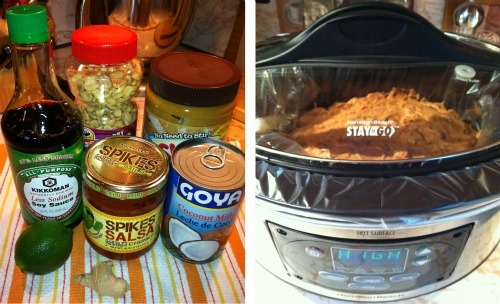 i am always amazed at how simple it is to make anything in the crock pot. really, it's like having your very own chef in the kitchen watching over dinner for you. 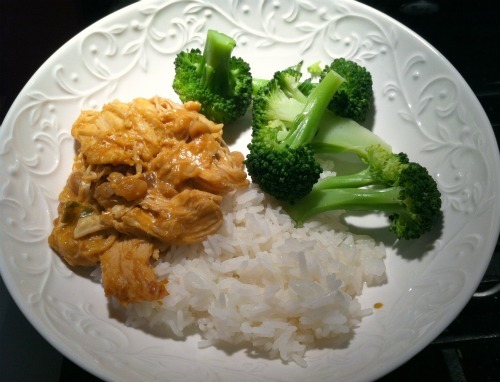 recently, i stumbled across this recipe for thai peanut chicken made in the crock pot. we tried it out, and it was delicious. when we made this recipe, we were sure to make enough so that we would have leftovers for dinner all week too. i highly recommend putting your crock pot to use for this one! it is so simple! by the way . 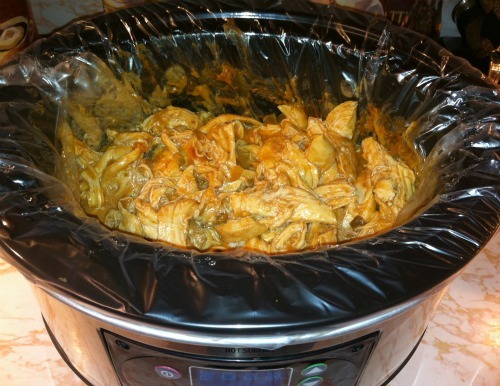 . . when we made this recipe, i used a crock pot liner for the first time. i'm not convinced that i loved it, but it sure did make cleaning up so much easier. 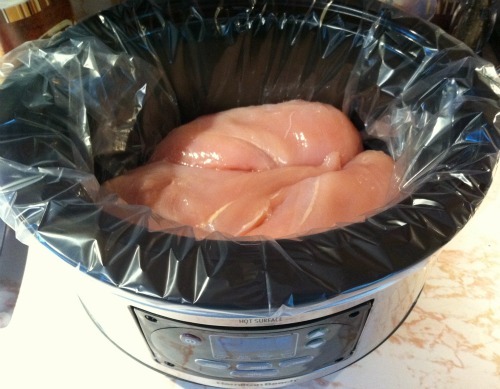 do you ever use liners for your crock pot? This looks soo good!! Ugh now im starving!! And i just cant get over your lil rascal of a kitty in the pictures below!! I need to put up more pictures of mine! Would love to hear what you think of my latest post today! Have a great weekend!